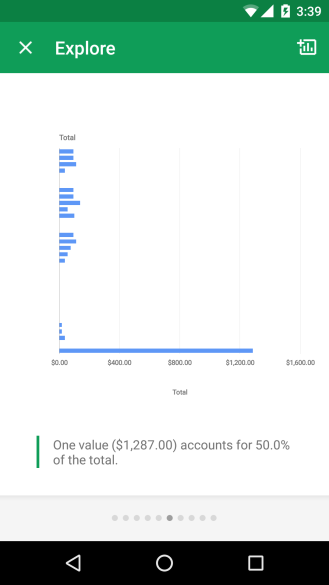 If you haven't had Google turn your spreadsheet into a chart before, go to the overflow menu and tap Explore. It's this nifty part of the app that's getting attention in the latest update. 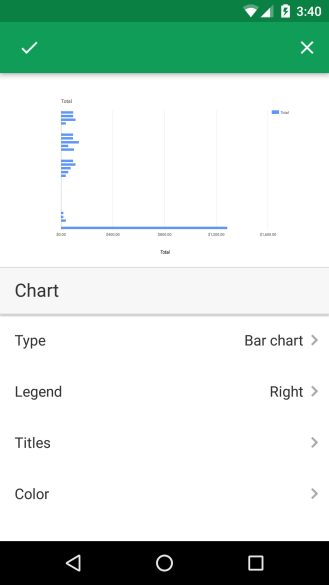 Before now, Google hasn't let us do all that much with charts. 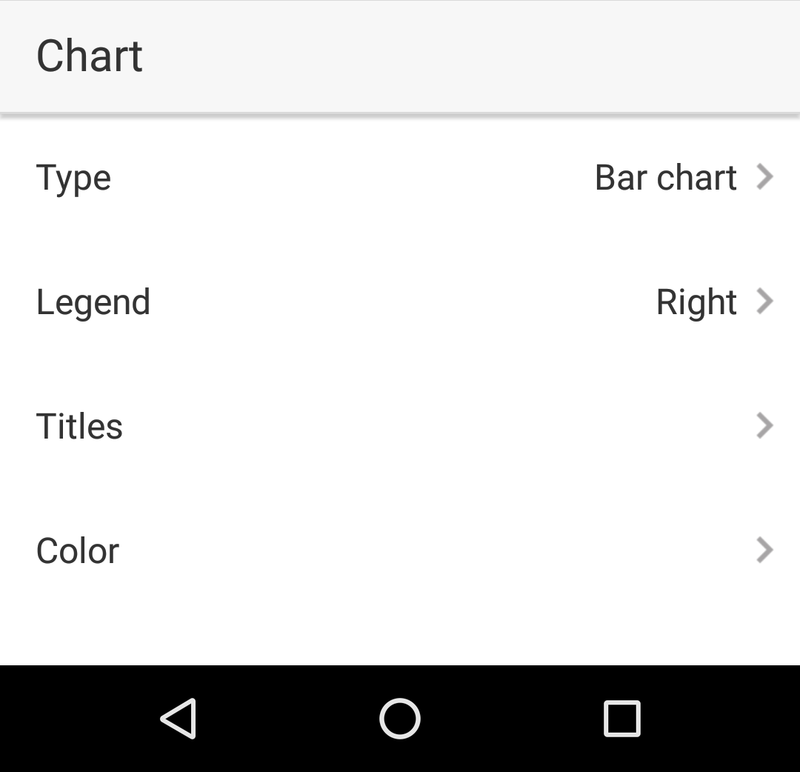 Now, the Android app lets users tweak titles, change the names of X and Y axes, swap colors, and determine where the legend should be located. Having these options increases the likelihood of someone opting to tweak a chart from a phone or tablet. Ultimately, though, you're still limited in what you can do. Here's the changelog straight from Google. Underneath that, you can grab the APK. Add or change a chart’s title. 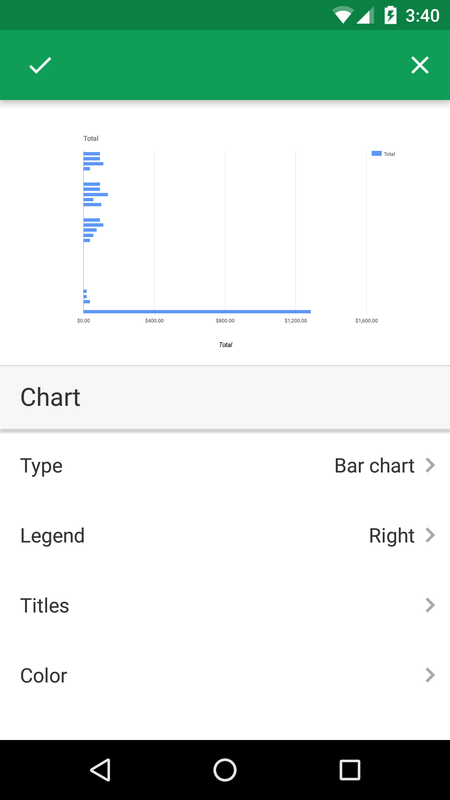 Add or change the titles of a chart’s X and Y axes. Change the color of a series in a chart. Specify where the chart’s legend should be located.